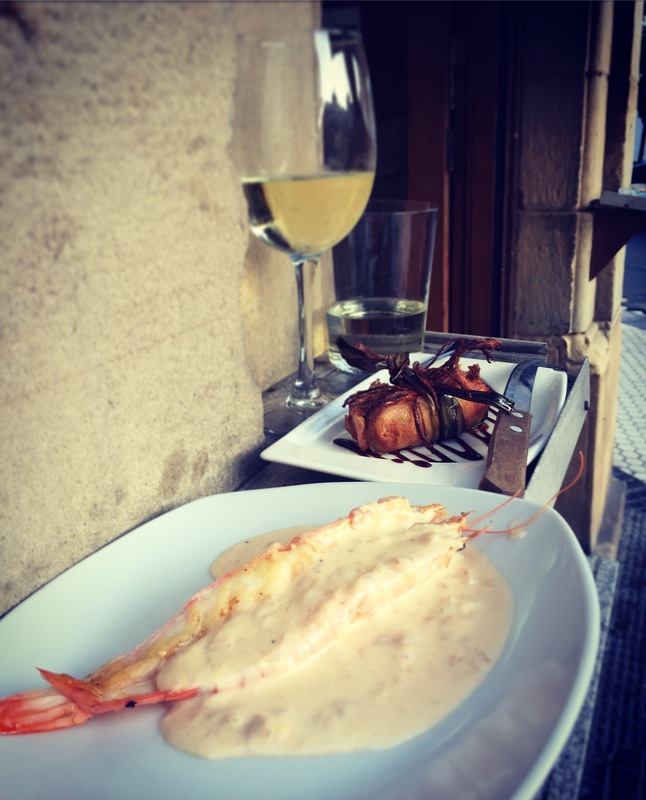 Our main reason for going to go to San Sebastian this summer was the food. 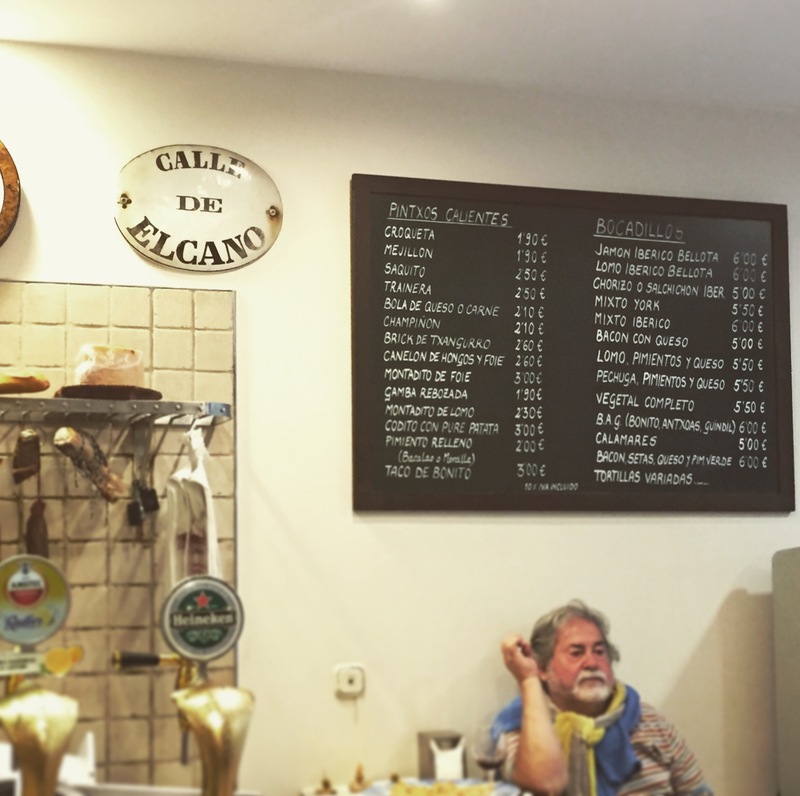 We wanted to bar hop and drink the traditional basque white wine, txakoli, all the while sampling lots of different pintxos. Pintxos are small portions of food – what we outside of Spain usually call tapas. Turns out tapas in Spain come “free” with food whereas pintxos are paid for, portion by portion. Pintxos are often (but certainly not always) more refined or elaborate than tapas too. 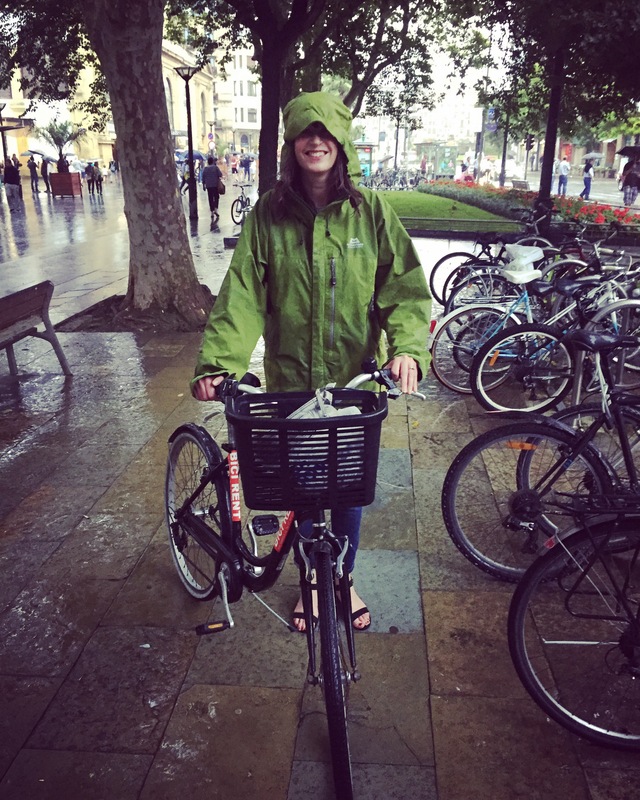 So during our 10 days in San Sebastian we walked and cycled and explored the city, and in the evenings we headed out to sample the town’s pintxos. 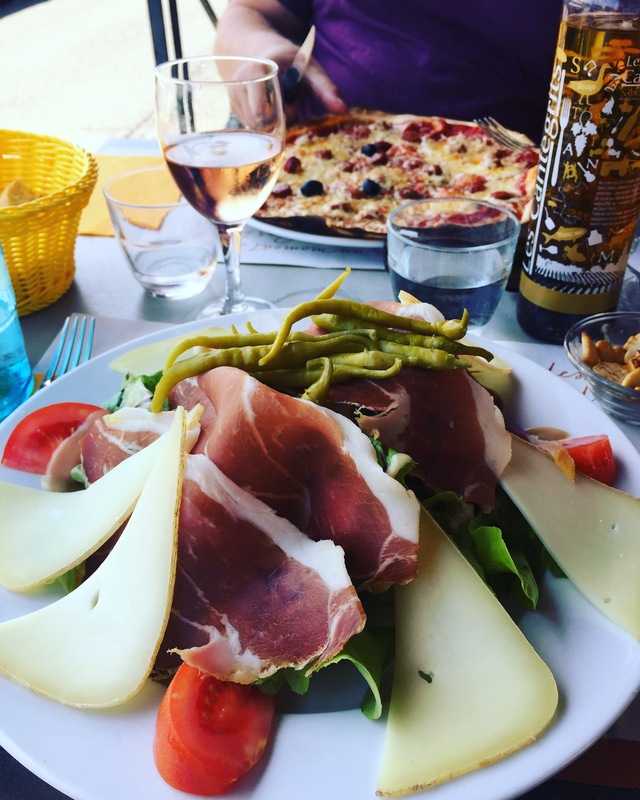 Turns out finding the best food and navigating the bars was a skill to be learnt. The bars are busy and noisy and were a little intimidating at first. In our first pinxtos bar on our first day, I managed to steal food from another customer’s plate and had to be told to give it back. Mortifying, yes, but at least I could then drop any pretence of knowing what I was doing! Order the hot pinxtos (pintxos calientes). These are fresher and often more interesting. Outside of the old town this menu will only be in Spanish and/or Basque. We relied on my Spanish – I know maybe 50 words and most are food related – and some English speaking bar staff but we met a Norwegian couple who were using the Microsoft Translator App and it worked a treat – they just took a picture of the menu and the app translated the words it could. The Apple version was a bit of a faff, however, so we gave up on it. Head out of the old town sometimes. There are lots of good pinxtos bars in the old town but there’s plenty to discover outside of this area too. Three streets we liked to visit were San Martzial Kalea just behind La Concha beach; the area around De Cataluña Plaza in Gros; and the streets De Felipe IV Hiribidea and Isabel II.a Etorb . up near the Anoeta stadium. 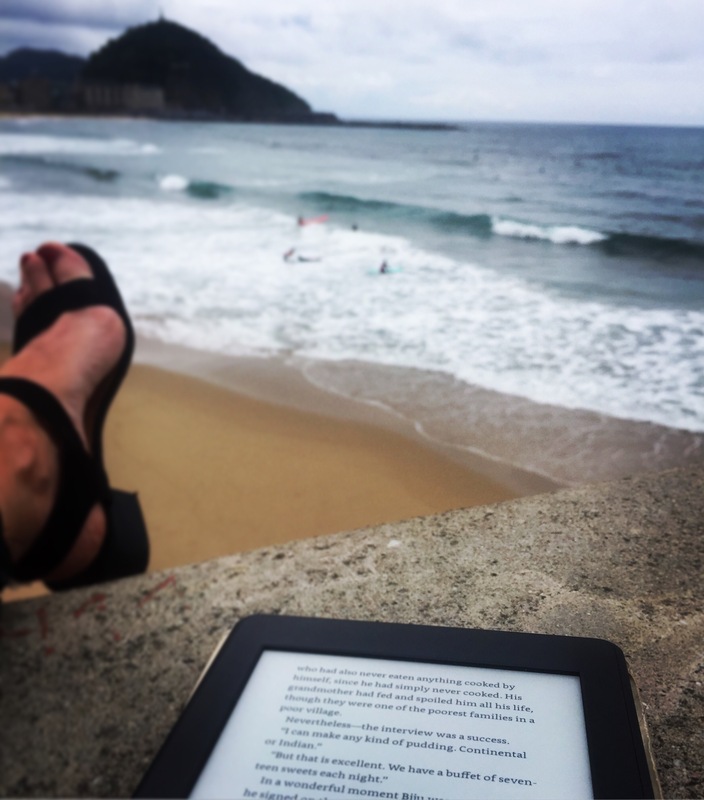 Learn a little Spanish as well as the Basque words for Hello and Thank you. You’ll have no problems using English in the old town but heading away from the touristy area there are far less English speakers. Most bars run a tab where you pay for your food and drink when you are ready to move on. Make sure you show the bar staff what you are taking and keep a mental note too. Raciones are larger portions of food. Do not order four of these at once. It’s a lot of food. Trust me, I know. Many bars tended to stop serving food around 11pm. Cold pinxtos were available until midnight/1am. 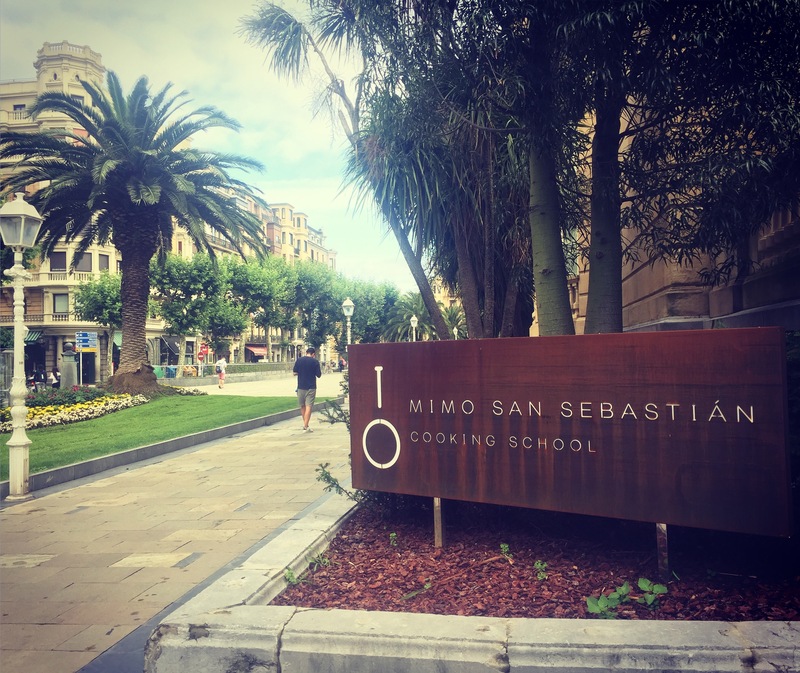 We booked a pinxtos tour for our second night through San Sebastian Pintxos Tours. It was quite pricey but absolutely worth it in the end. 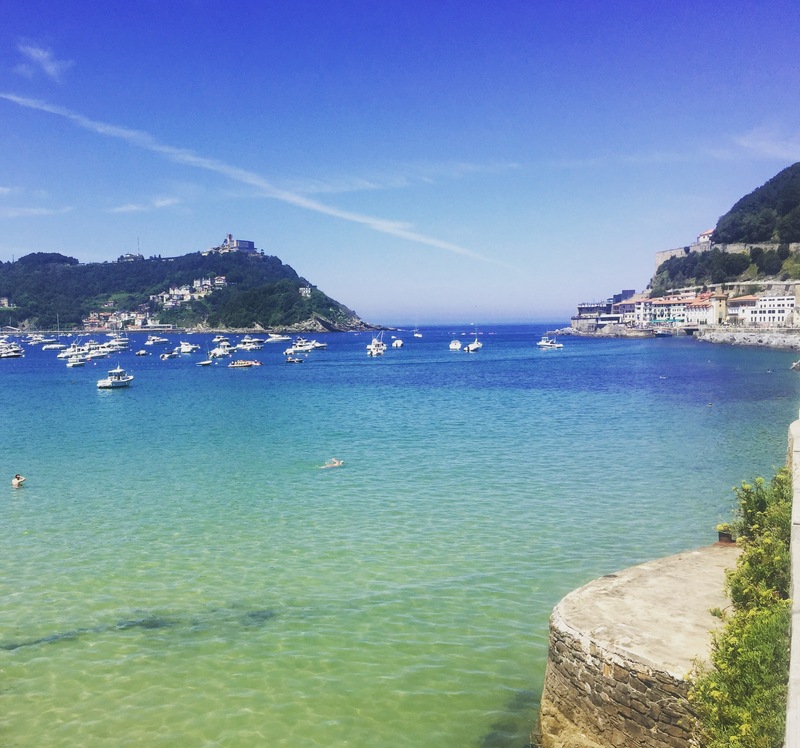 Our guide was charming and informative and the experience gave us the confidence to make even more of the food scene in San Sebastian. One of our favourite bars was Mesón Martín. The gambas rebozadas (battered prawns) were outstanding as was the squid trainera. A trainera is a traditional Basque boat but the term is also used to describe a slice of baguette topped with seafood. The following was a trainera I returned to order again and again then I came home and made it so I could continue eating it some more. It’s very easy to put together and really great BBQ food. Pat dry the squid and prawns and rub with oil. Cook over BBQ coals or under a hot grill for 4 – 6 minutes until the prawns are pink and the squid is lightly coloured/blistered. Toast the bread and brush with garlic oil. Add a slice of jamon, a squid and a prawn. Drizzle with more garlic oil and spinkle with salt flakes and parsley.